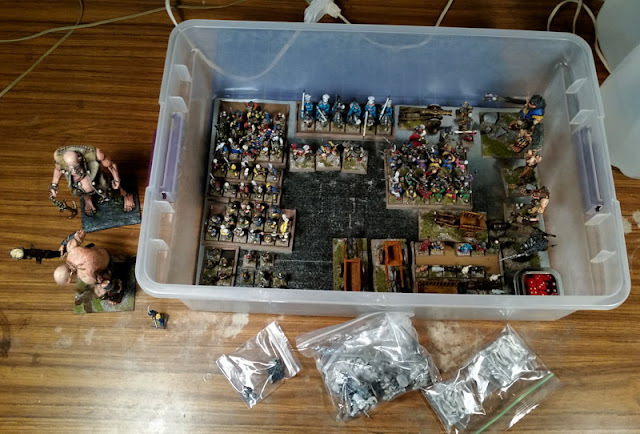 I'm just about packed for Oldhammer Day USA. (Still debating bringing a small 40k warband for "Escape from Nu Ork") I'll be working away from home for a day or two, briefly coming back, then hitting the road the next day for Oldhammer festivities. I may do some live (or live-ish) updates via this blog or my Facebook Page and/or the Oldhammer in the New World page. Or I may just relax and catch up with that later. Not sure. I'm ready to slaughter some giants!